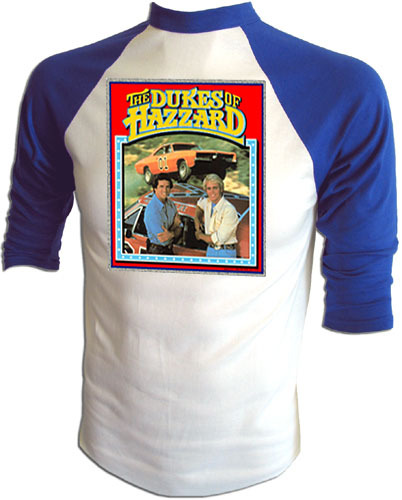 An authentic Warner Bros., Dukes of Hazzard TV show shirt featuring a vintage 1981 iron-on heat transfer print on a new and unused shirt. original licensed Warner Bros. print from 1981! 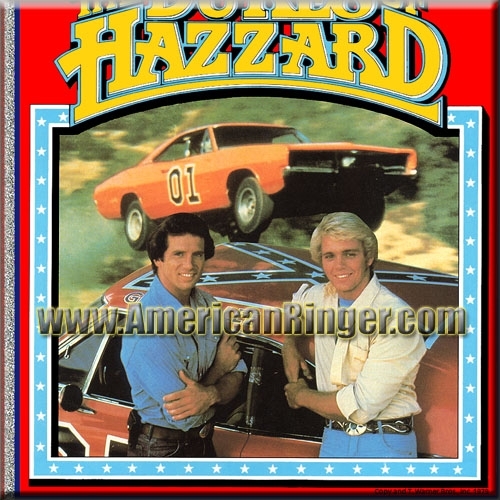 This is a classic Dukes of Hazzard promotional print. This print of Bo and Luke Duke picture two very young and soon to be famous Warner Bros. stars during the early 80's. Just look at John Schneider and Tom Wopat in front of the Mopar Dodge Charger the General Lee, now that is one bad*ss vintage tee. "Yeeee-Hah!" AmericanRinger.com acquired these rare vintage shirts and NOBODY ELSE HAS THEM! This is the real deal vintage stuff and once they are gone they will be gone forever.